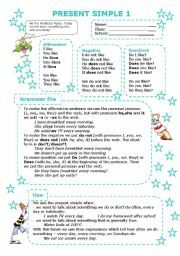 This is a brief grammar guide on present simple tense. 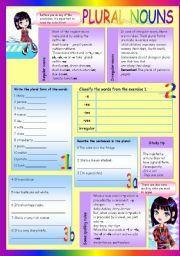 I haven´t included notes on adverbs of frequency. I plan to dwell on it some other time. Have a nice day! 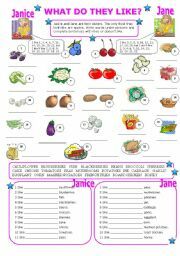 I made this ws for my Ss to practice LIKE and DOESN´T LIKE and to revise food vocabulary (fruit, vegetables and other food). 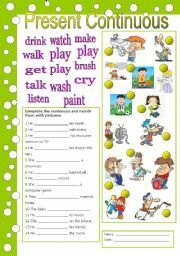 They write words under pictures and then complete the sentences with LIKES or DOESN´T LIKE. 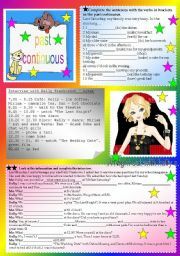 Hope u find it useful! Have a nice week! HUGS!!! 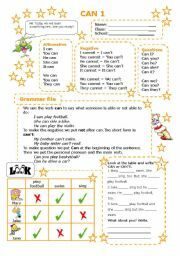 1) Complete the text with AM, IS, ARE, HAS GOT, MUST and CAN´T. 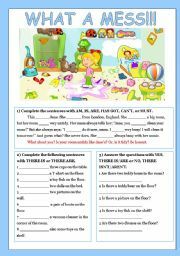 2) Complete the sentences with THERE IS/ARE. 3) Answer the questions with YES, THERE IS/ARE. or NO, THERE ISN´T/AREN´T. 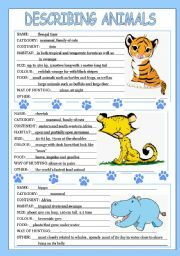 Hope you find it useful :) HUGS! 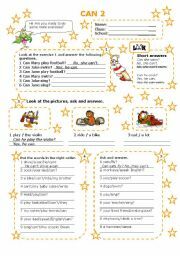 The worksheet contains grammar explanations and some exercses: 1 - write plural form of the nouns given; 2 classify the nouns; 3a and b - rewrite the sentences in plural form. Hope you find it useful. Have a nice Sunday! HUGS! The ws contains two exercies - the first is one-star exercise (indicating the level - easy)and the second two-star one (slightly harder than the first one). Hope you like it! HUGS! I´m glad you liked the part 1. Enjoy! HUGS!! !